Chip Deflectors stop metal chips and cutting oil from exiting the back of the chip box. They provide sealing only and no drill support. 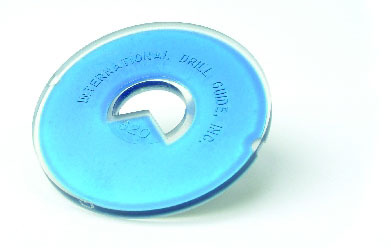 They are used on gun drill machines on short rigid drills when whipping is not a problem. 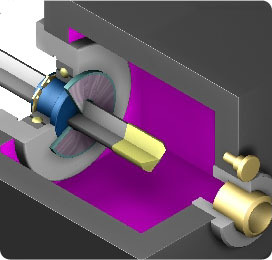 They are also used in front of a Drill Guide or a SnapGuide® to extend bushing and bearing life. Chip Deflectors feature a hardened steel face bonded to a flexible polymer backing to provide perfect sealing on the drill and long life. 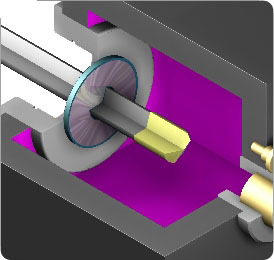 NOTE: * These Chip Deflectors have smaller outside diameters than standard Chip Deflectors. They are designed for non U.S. made gun drill machines that require smaller outside diameters due to the chip box and bearing housing design. Order this style of Chip Deflector only if your machine requires it.